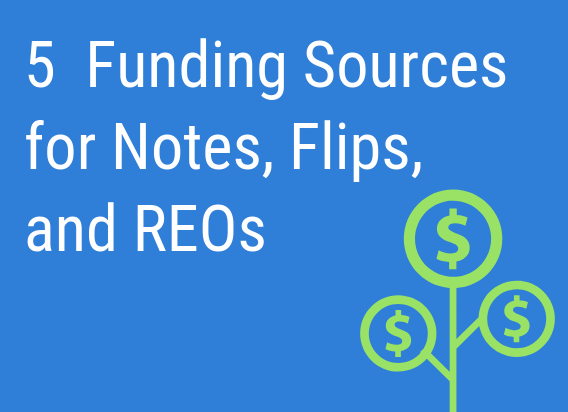 Are you having trouble finding funding for your next note or REO investment? In this article we will go over 5 alternative funding sources for note investors, REO deals and Fix and Flip projects. With the major Banks fighting for new customers, finding funding has never been easier. But what do you do when you don’t fit into the regular borrower category? Where do you go to find loans tailored to real estate investing? What do you do when you don’t have a perfect credit score? In this article, we will cover 5 special funding products that are being offered by our financial services partners. As an extra bonus, we also have a recording of a webinar we did with them where they give an in-depth explanation of all of their services. The first funding option available is the purchase financing for single-family residential and fix and flip deals. Our partners can come in and provide the senior debt and they also have programs available for the rehab side of it. So if you specialize in single-family residential then this would be the best loan for you. Unfortunately, they don’t provide purchase capital for the purchase of a residential non-performing note. They have programs available for the purchase of rental property, single family homes and flex and flip deals. There is a gap in the market that isn’t being filled by traditional lenders and from what we see just with our work in the institutional capital markets, that gap from a financing perspective typically is coming from the high net worth individuals, the infinity investors, the family friends, those profile of lenders. For purchase financing, for single family, for fix and flip deals. Our partner also has lenders that will also do no tax return checks. There’s a lot of really interesting programs available for the purpose of purchase financing. We also have access to a very popular business credit card program. The great thing about this program is that they are giving clients anywhere from 20,000 to 200,000 in these business credit cards. 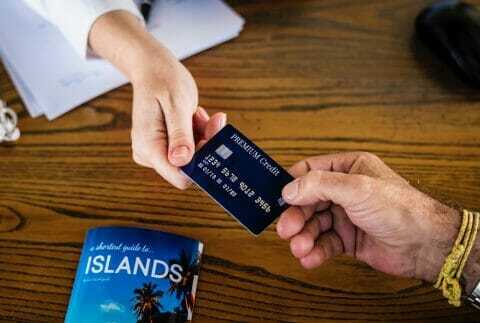 Another great thing about the business credit card program is that it does not underwrite the client from a year in business or a revenue perspective. When you are just starting out, you don’t have a track record, you won’t qualify for any revenue-based programs, right? And when a lender looks at you from a year in business perspective, you’re just starting out. Let’s say you just learned about distressed note investing and you want to get in. You see the potential, you see how it can change your life and what it can do for you from a wealth building perspective, so the nice thing about the business credit card program is it only underwrites your personal credit score. And so if you’ve been able to maintain good credit if you have a 680 plus score, their clients are getting qualified anywhere from $20,000 all the way up to $200,000 in these unsecured credit lines that come in the form of business credit cards. Now again, this program is a business credit card. It is not a check writing credit line. 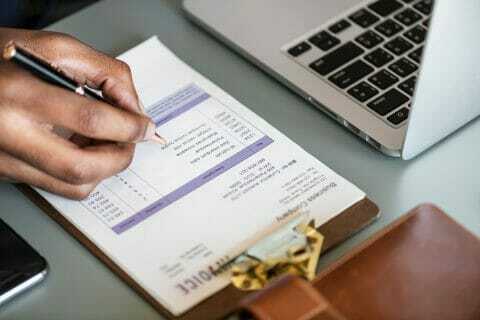 And so there are mechanisms and there are ways to convert the credit line into cash. However, this program is probably not necessarily the best program for the purpose of buying the house or buying the note. You want to use this program for all the other types of costs that you incur in your business. So the business credit card program is phenomenal for the purpose of rehab supplies. The other major selling point about the credit card program is most of the cards come in at 0% interest for the first six to 13 months. The third source is their working term loan program. They call it a 48-hour business loan program. It typically goes from $20,000 to $50,0000. Some of the requirements on it, they typically want to see the borrowers have a 600 plus score. They do have to be in business at least two years, and they do have to do a minimum of at least $100,000 of revenue. Again, it’s a term loan product, typically one to four-year terms. Think about it more like a traditional business loan. So, getting $5,0000, $20,0000 on a business loan is another form of capital. If you’d been rejected by your bank to get a business loan, then some of these alternative lenders possibly are gonna be a good fit. Again, a term loan. It’s a loan, you get the capital advanced to you into your account. From there, you choose what you want to use it for. You can use it for purchase capital. You can use it for rehab. Think about it sort of similar to, I’m sure many have heard of an SBA loan. Many businesses use an SBA loan. Our partner has all the SBA loan programs in their platform, but this specific program is an alternative lender that provides this program. They have a couple of Fintech lenders that provide these term loans. But again they’ll have requirements that’ll be a little less stringent than a bank. It’s a good program. On a “no credit check credit line”, the credit line goes from $1,000 to $100,000. It is a true on call cash credit line. It is not a credit card. 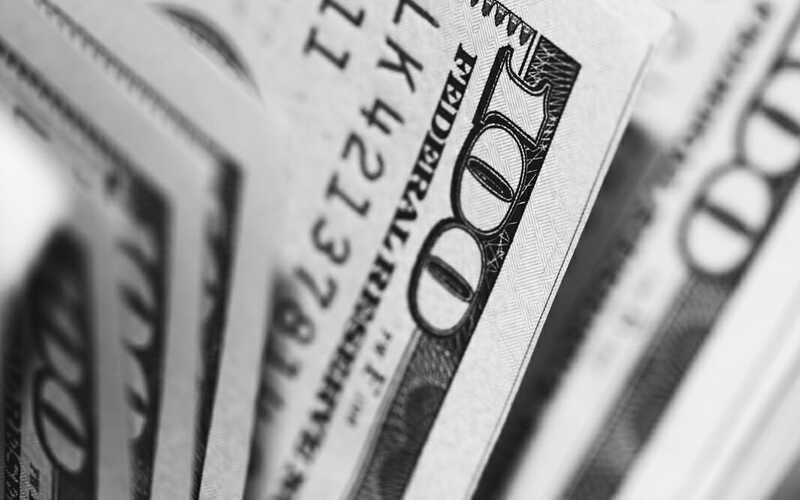 With a Fintech lender, how it works is they’re underwriting the cash flow. 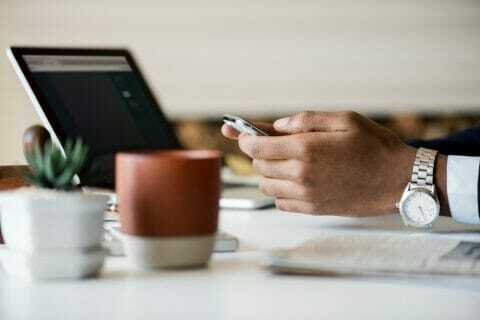 What this Fintech lender does is they connect into your online bank statements, and they run a cash flow analysis of your business and they will lend according to your revenue figures. Your business must do at least $25,000 of annual revenue and you have to have been in business at least six months. But then what happens is once you get approved for the credit line, it is a true on call cash credit line is very similar to traditional online banking. Whether you bank with Chase or Bank of America or any regional bank, most folks have been able to log into their online banking portal. The same concept holds true for a Fintech lender. What you would do is you would log in to your Fintech lender platform. Once you’ve been approved for $50,000, or whatever the amount is that you’re approved for. Then what’s great about it is you click a button and it transfers cash right into your account. It is honestly one of the most genius programs that these Fintech lenders have created, and it’s an awesome program for all investors. You don’t have to pay interest on it if you’re not using it. You don’t have to go get underwritten again. You don’t have to go through a huge loan application. Once you are approved for it, it just sits there. And the ability to click a button, get cash into your account to meet payroll this Friday, to buy inventory, to take advantage of a great contract you just got, is huge. It’s really, really huge. And the same thing for real estate investors and for the folks in the distressed note space. Again, this program is gonna be a great fit for small to medium size businesses and real estate investors who truly want that on-call mechanism. This program goes from $20,000 to $100,000. The lender has a couple, little stricter requirements. They wanna see your business doing at least $100,000 of revenue and have a minimum 600 credit score. On the plus side, they do instant transfers and offer very competitive rates to small businesses. Much like the cash credit line program, this service is from a FinTech lender. Clients get approved in a couple hours, it’s an on-call line, they go into their online banking to be able to transfer it. So, the final thing I wanna mention on both of these credit line programs from these two FinTech lenders, the exciting thing is our partner can actually apply the client to both of these programs simultaneously because they don’t interfere with each other. 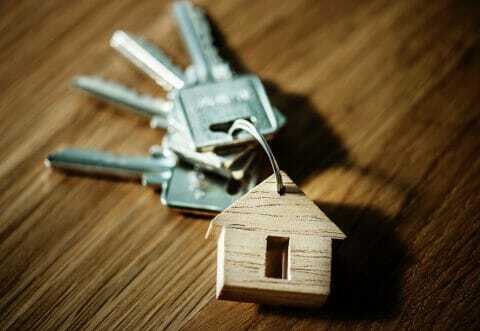 Most real estate investors and mortgage note investors would like to have a revolving line of credit. One that they can draw from whenever they like. They want it because they’re in 100% control. They make the decision when they use it, they make the decision the amount of interest they get charged on because they have full control. Whereas a loan, you get the $200,000 advanced to you and then, you have to pay the monthly term and repayment back. With this, it’s a true credit line. And again, that’s why these FinTech lenders have come out with these programs is because they see a need in the marketplace that the banks are not servicing and so, they wanna develop this program to be able to service the needs of these small business owners and these real estate investors, to be able to give them a product like this to be able to help them grow their business. These are just a few of the programs that our financial services partner has on their platform that can help you grow your business. Again, capital is just a tool, that if used wisely can supercharge your business growth. Click here to see what kind of financing you qualify for.